Try your luck battling through custom mobs with different levels of difficulty while wearing and wielding custom items bound with powerful titles. Unbind and bind items with new titles that give off different stats like health and exp percentages. Take on the powerful Enderdragon and raid the end cities with your friends. Team up with other players by forming clans to make alliances or rage war. Use protection stones to keep your stuff safe from grief/raids. Traverse our custom biomes filled with wonders not found in vanilla minecraft. We strive to make our players feel a part of our community by implementing Discord integration to increase communication between staff and players, New features are added frequently to increase enjoyment and playability, and taking suggestions and feedback from the community on the forums. 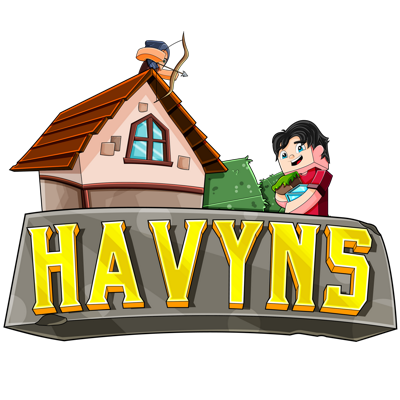 If you are ready to stop being a number and start being a player, check out Havyns today!